Tools that make AdWords people more productive. 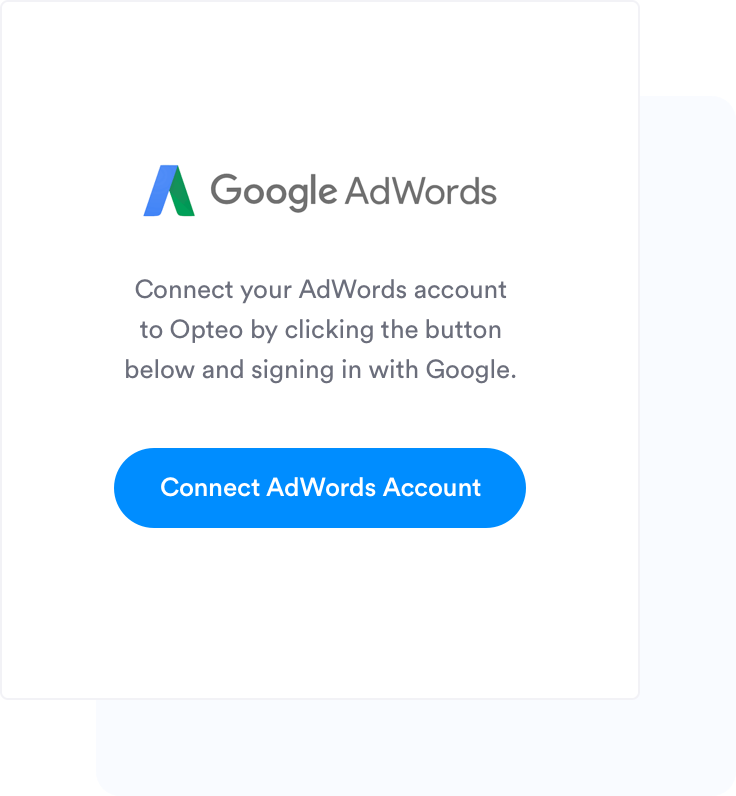 Opteo makes managing and optimizing AdWords accounts simple and efficient. Grow conversions, hit performance targets, boost productivity — all while reducing your overall workload. 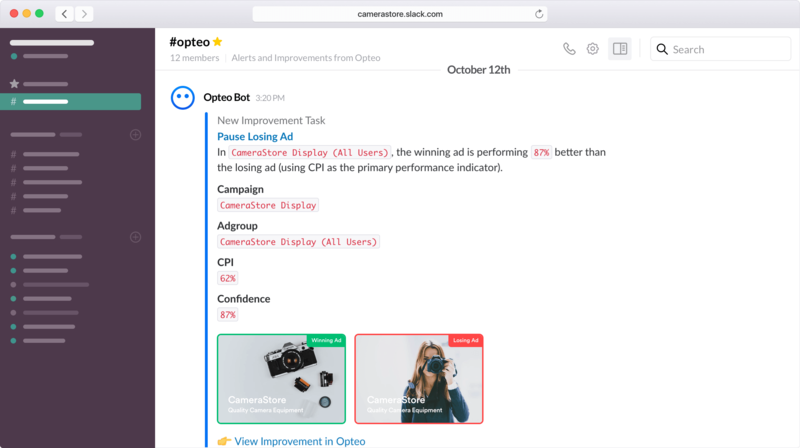 Opteo has changed the way our agency works. Optimizing accounts used to mean sifting through data hour after hour, day after day. 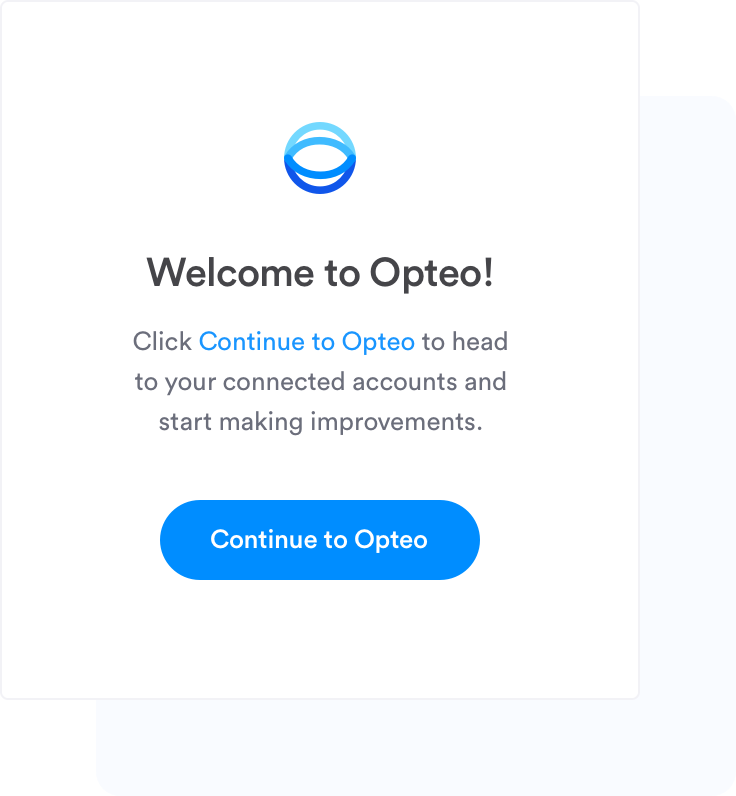 With Opteo, optimizing accounts is a breeze. 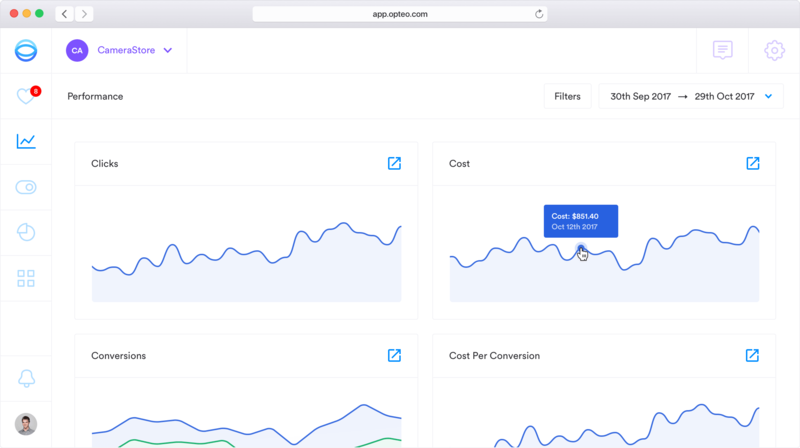 View all key performance metrics in one location. Get additional metrics not available in AdWords (including QS Components, AdRank and many more). It's much easier to see KPIs at a glance over the native AdWords interface. 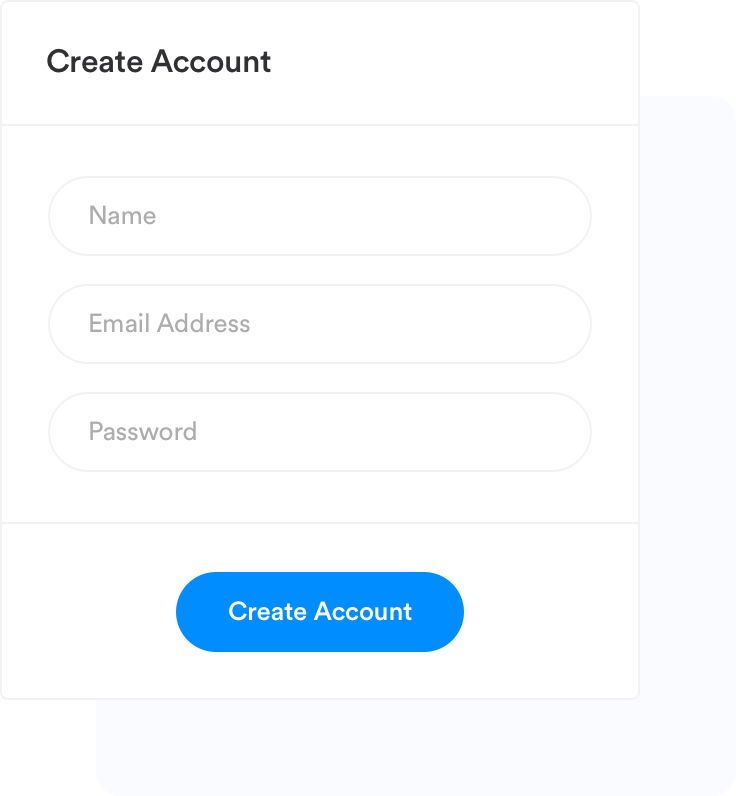 Great UX. Love that it spots things I would have missed otherwise. The support team is amazing too! 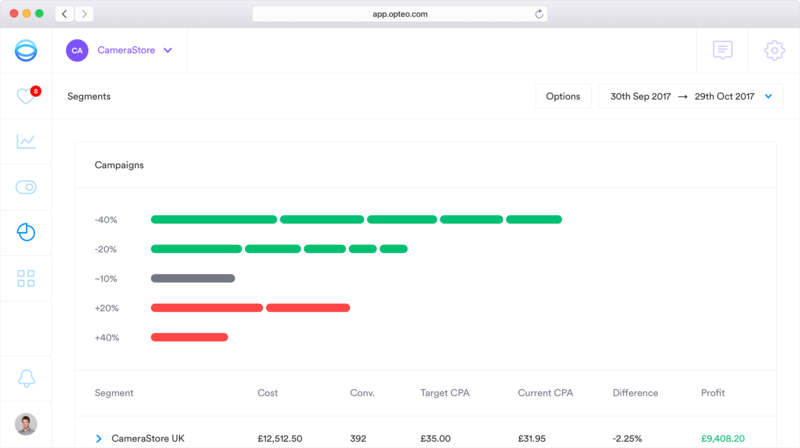 What we used to do with Excel, we can now do much more efficiently with Opteo. 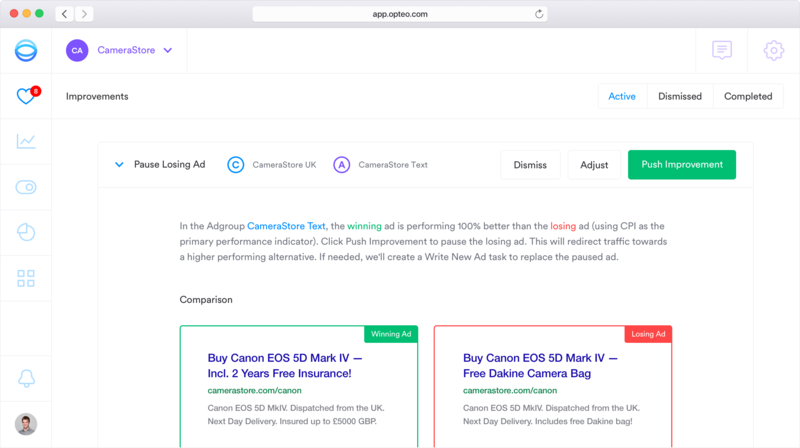 This is hands-down the best tool I have seen on the market to help maintain and optimize your campaigns. 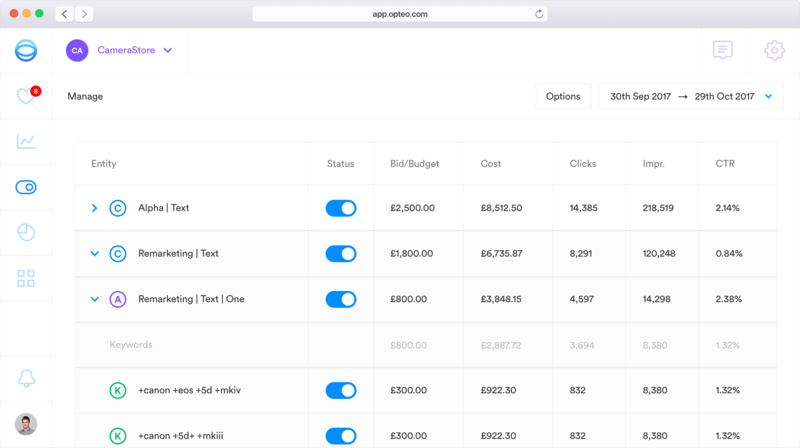 Explore segments to find the most profitable areas within an account. Pinpoint the 20% of the account driving 80% of the performance. Reduce spend on inefficient segments and double-up on more lucrative ones. 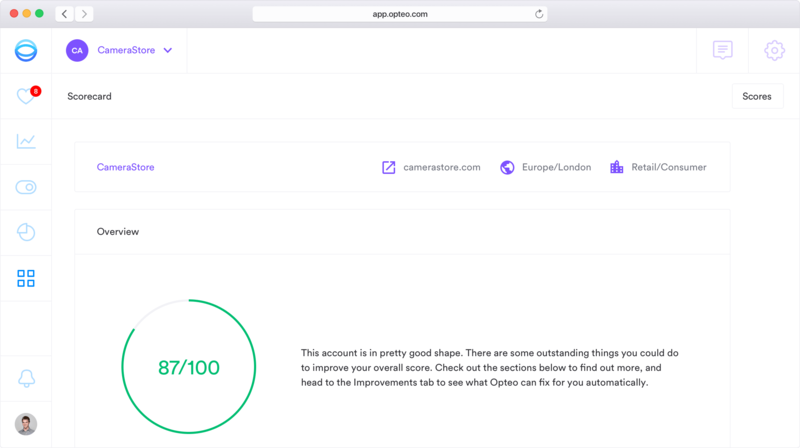 I took an account that was losing money and brought it back to a profitable level over the past few weeks, simply by setting up my target CPAs in Opteo and reviewing every suggestion. Check scorecards to get a high-level understanding of account performance. Perform in-depth account audits in seconds. Gain an immediate understanding of an account's health so you know where to focus for maximum leverage. I use Scorecard as a tool to say to clients "Here's my early analysis. Here are the problems — here's where I can improve things. You should hire me to make these things happen." Integrate with Slack, get Improvements and Alerts delivered to your inbox. Get performance updates, budget alerts, and new improvements sent to your favourite Slack channel. Keep up with important changes as they happen.